NBCUniversalMariah Carey, Kelly Clarkson and Mary J. Blige helped kick off the Christmas season in New York City Wednesday night with musical performances on NBC’s annual Christmas in Rockefeller Center extravaganza. The evening also featured performances by Toni Braxton, Kenny “Babyface” Edmonds, Goo Goo Dolls, Ariana Grande, Leona Lewis and Jewel. 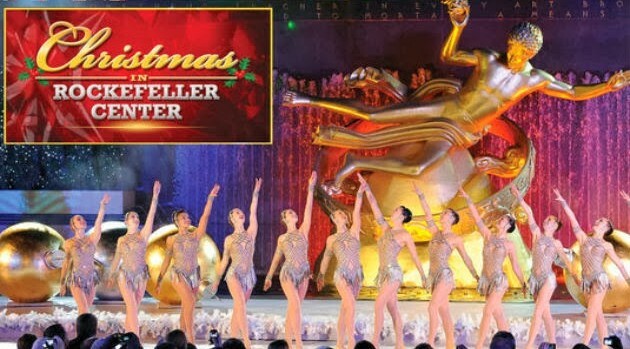 The annual TV special from New York City’s Rockefeller Center was hosted by Today show co-hosts Matt Lauer, Savannah Guthrie, Al Roker and Natalie Morales. Mariah opened the show with a medley of the holiday classic, “Joy to the World” and the Three Dog Night hit of the same name. Mary J. Blige joined the festivities singing “This Christmas,” from her album, A Mary Christmas. Next up, it was Ariana Grande, performing her holiday tune, “Love Is Everything,” backed by the Harlem Boys Choir. Jewel sang Mel Torme’s classic “The Christmas Song,” which appears on her new Christmas album, Let It Snow. Jewel is one of the judges on NBC’s music competition series The Singoff. British singer/songwriter Leona Lewis sang an original tune, “One More Sleep,” off her first Christmas collection, Christmas with Love. Actress Audra McDonald, whose credits include Broadway productions of Ragtime, A Raisin in the Sun and Porgy and Bess, sang “Climb Every Mountain” from The Sound of Music. The evening ended with the Today show co-hosts leading the crowd in a countdown to the lighting of the 76-foot Norway Spruce, which is illuminated by 45,000 multi-colored LED lights and topped with a nine-and a half-foot-wide Swarovski star.